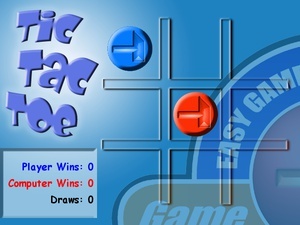 Everyone knows how to play Tic-Tac-Toe, so just go ahead and start playing! Get three symbols of your kind in a row, column, or diagonal to win! You may notice that instead of X's and O's, Game Maker logos are used. 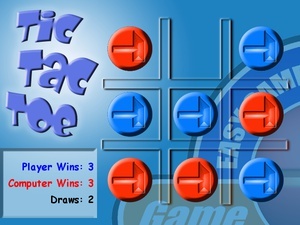 Tic-Tac-Toe is one of the nine games Revolution Games did not create. They were originally created by Mark Overmars, and Jacob Habgood for The Game Maker's Apprentice.